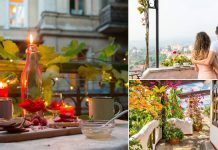 This list of 11 Deck Vegetable Garden Ideas is going to inspire you to grow tasty and organic vegetables in limited space of your deck successfully! 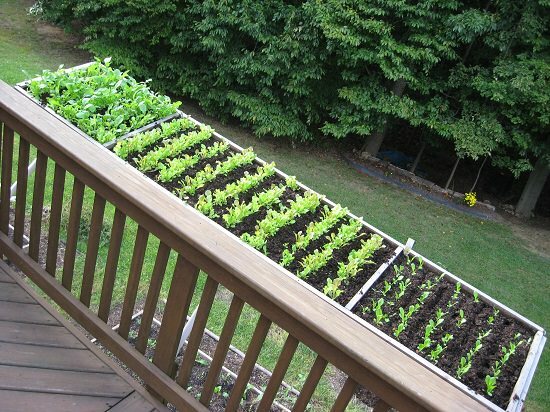 If you’ve decided to create a vegetable garden on your deck or patio, these ideas and tips are going to help you in generating more growing area and crop productivity. 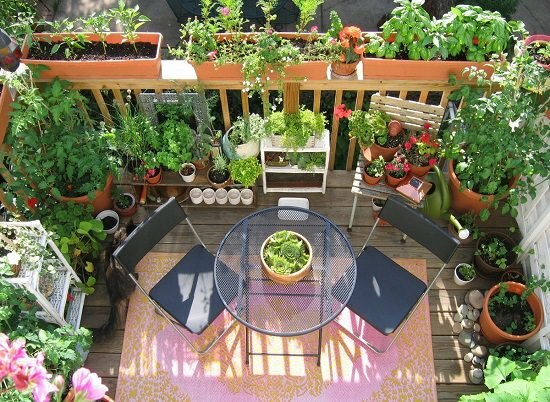 Your small vegetable deck garden is enough to produce vegetables and herbs well if you manage the space properly. These skinny deck gardening beds here have tomatoes, lettuces, basil, oregano, dill, chives, and flowers like zinnia, daisy, and marigold. 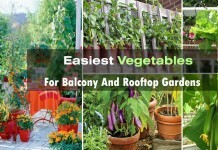 Carol from GardeningCook.com shares her valuable tips and knowledge for creating a deck vegetable garden in her article here. Must read that, if you’re a beginner. 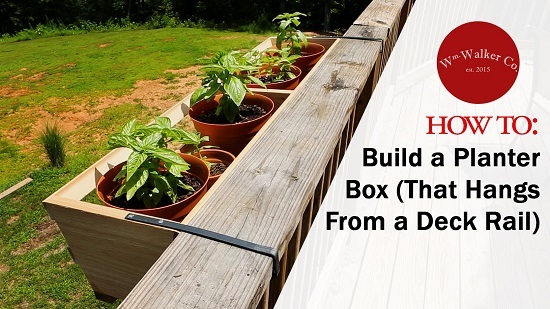 This excellent YouTube tutorial video shows how to build a planter box that hangs from a deck rail. You can use it to grow your favorite aromatic herbs, dwarf vegetables, greens or flowers. 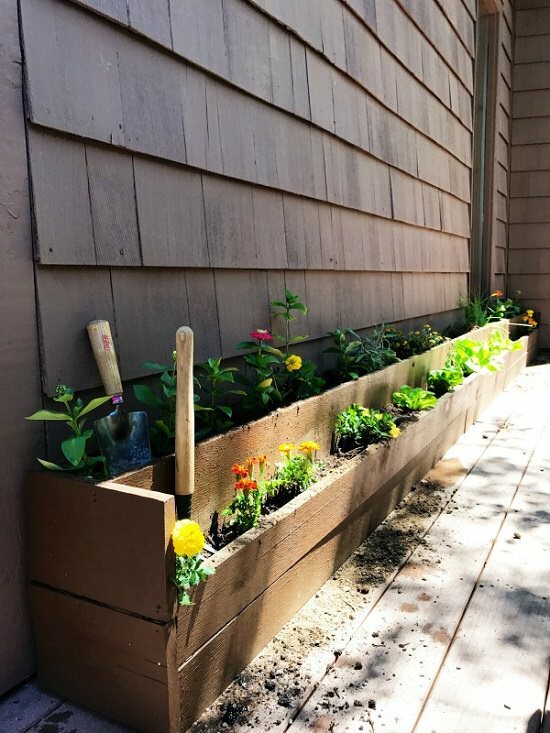 Learn how to build a deck railing planter for yourself. Some woodworking is involved, which is explained well in this YouTube tutorial. 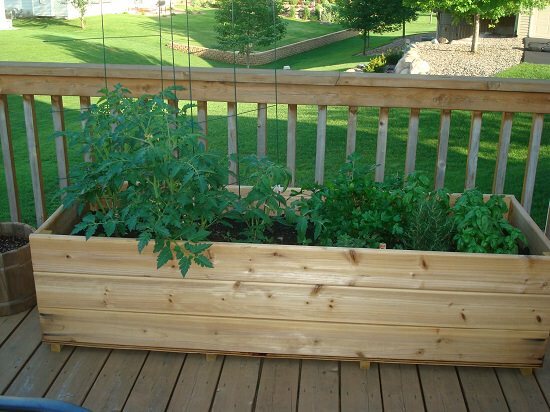 This blogger shared the step by step process of her brother-in-law’s Deck Vegetable Garden project. They started with herbs and tomatoes (the best bet for beginner gardeners). Utilize every inch of space when you’re growing a limited space garden. 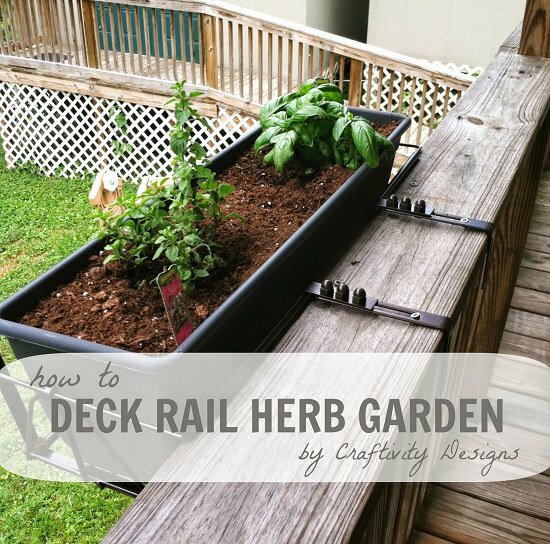 This quick project at Craftivity Designs shows how to create a small deck rail herb garden. 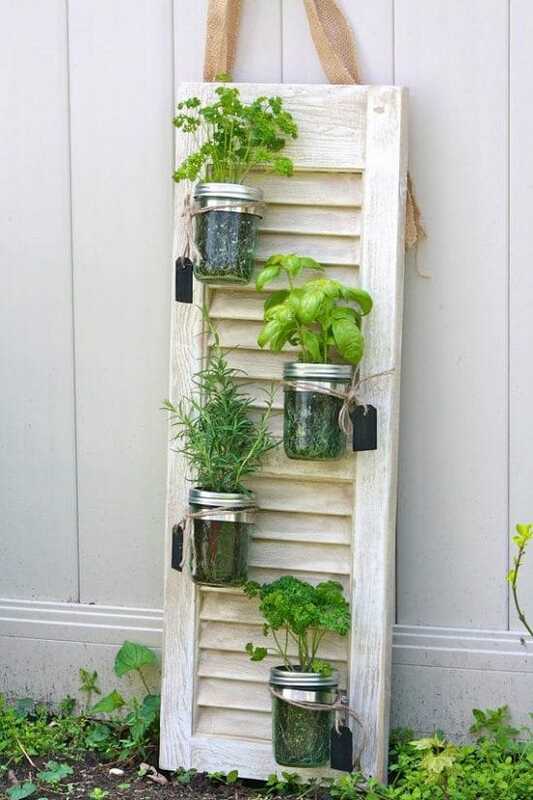 For this project, you’ll need an old shutter or reclaimed pallet or plyboard, a few large mason jars, herbs, hose clamps. First, make a 2 inches layer for drainage by adding gravel or small rocks in the bottom, then add potting soil and plant your favorite herbs. Create an opening in mason jar lids for plants to come out (or else simply remove the lids). Attach the mason jars to the shutter/board using hose clamps. Be careful with watering as there are no drainage holes. An off-the-deck salad garden planter like this can be the smartest addition to your deck vegetable garden. There are many more container vegetable garden ideas available on the University of Maryland Extension! To grow more plants in a compact area like a balcony, patio or deck garden, a ladder planter is the greatest solution. 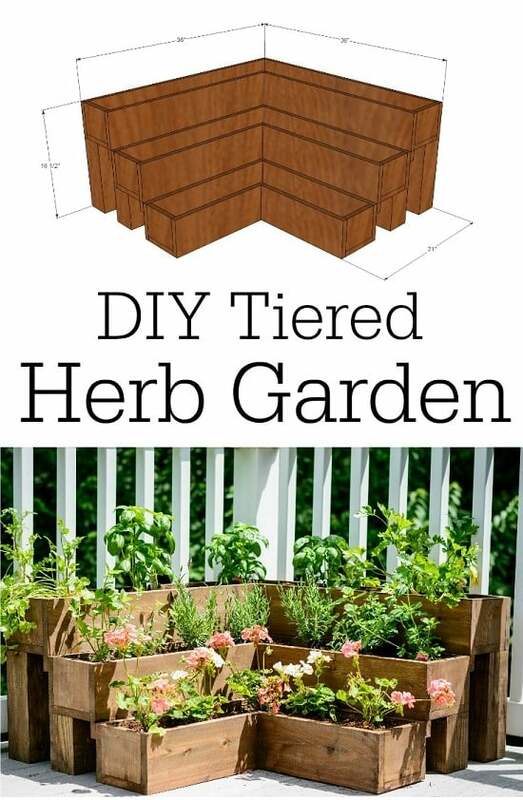 Check out our article on DIY Ladder Planters to get 17 ideas with their step by step tutorials. 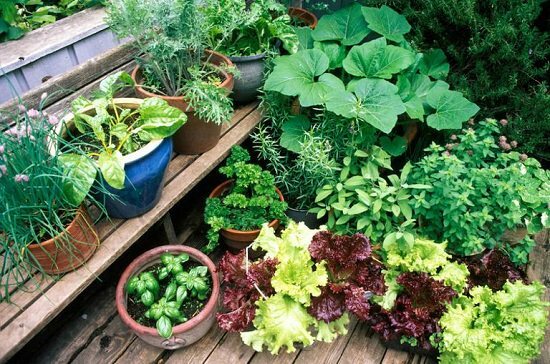 A tiered vegetable or herb garden is the best way to squeeze more space onto your deck or patio. The step by step tutorial is available at Decor and the Dog. 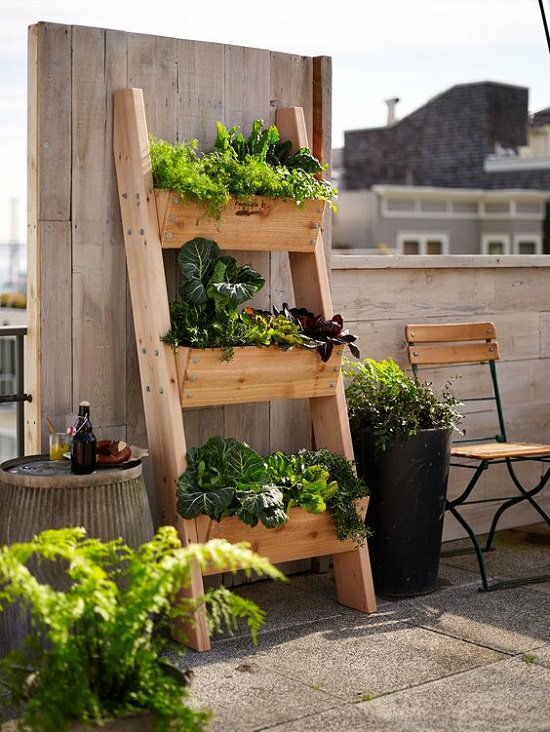 If you’re not creating raised beds or skeptical about trying vertical growing ideas, must see our 15 container vegetable garden designs and ideas here to grow fresh homegrown vegetables on your deck. 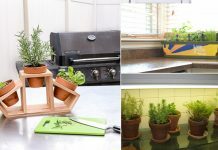 Next article10 Space Saver DIY Herb Tower Ideas To Grow A Lot In Less Space!